Suitable for those who only require the vehicles. We provide long term and short term leasing. Movers will be there to help you pack and wrap up all your furniture. Quick and highly efficient. Quick deliveries for small items. We can provide manpower if you require an extra helping hand. Need a lorry rental service for your home or office relocation? Or maybe a driver who is more familiar and experienced with driving a lorry? Rentalorry offers the perfect vehicles for rent if you feel that your personal car is simply not suitable for the job. From 10 ft lorries to 24 ft lorries, from 1 ton lorries to 10 ton lorries, transporting any type of goods is definitely not a problem. You can choose from our large variety of well-maintained vehicles a lorry that matches your needs. Our company is able to offer one of the best lorry rental services in Singapore and these commercial vehicles can be rented for either short term or long term use. Very fast and efficient. My husband and I find the pricing very competitive and the service good. Syed and the guys are accommodating and experienced. We are moving house again in 5 mths' time and will definitely want to go with Rentalorry again. Very satisfied customer here! 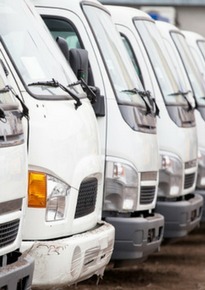 Rentalorry has a large network and variety of vehicles available. Depending on your requirements, we will recommend the best vehicle to suit your needs. The lorries below are some of the lorries that are more commonly used. 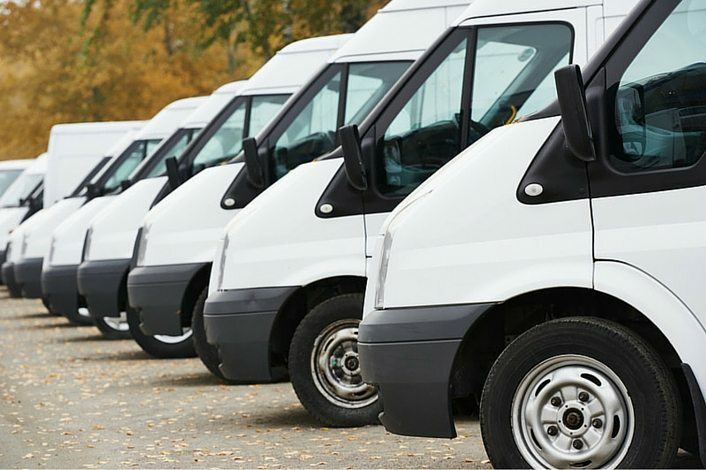 All our commercial vehicles undergo regular servicing and maintenance to ensure that they are in tip-top condition. Rentalorry is known for our superb after-sales service and we have a team of experienced and qualified mechanics that are ready to work on your vehicles if you encounter any problems. From long-term lorry leasing to shorter hourly packages, we have a range of packages to suit your needs. The flexible packages is available to cater to varying budgets as well as accommodate customers who may only require the vehicles for a specific period of time. As part of our lorry rental service, we also provide professional and experienced movers who can assist you with your home or office relocation. Our packers are trained to properly wrap up your furniture and equipment so that they can be transported to your desired destination. This will also save you hours of backbreaking labour because our entire team will be there to make your moving swift and efficient. Logistics and transportation is a 24/7 business so we understand that the vehicles need to be available round-the-clock as well. We try our best to provide our customers with consistently high standards of service so that they are able to meet the demands and expectations of this industry. The van rental services that we offer include the movement of passengers and the movement of cargo. Depending on your requirements, we can recommend the best vehicle to meet your requirements. Our pickup rental services are more commonly used when people have larger loads and require the open cargo bed to load their items. The range of truck rental services that we offer are more commonly used by our customer for the transportation of medium to heavy loads. Very professional service provided. Syed was prompt in replying email. The movers were efficient in dismantling and wrapping the bed frame and mattress. Although they were late for the appointment, Syed made the effort to message me and was apologetic for the delay. Definitely will engage them if I need any movings in the future. Arrived 100% punctual, swift and professional service for transporting my study table. Everything was completed within 30 minutes. Syed was quick and efficient with replies and updates. Would definitely recommend him and his team for people that want to move small items. I moved a coffee table made of solid wood. It left my mum-in-law's place in good condition and arrived at mine in the same condition. Collection and delivery was timely and professional.Thanks Syed and team! I spoke with Syed Abdul Kader to move some cabinets ti my house. I am very satisfied with their service and do not have any issue with the moving. I will definitely recommend their services to my family and friends. their quote is reasonable and despite the carpark was a distance from the office unit , Syed and his team did not ask for extra. Would definitely recommend rental lorry to anybody moving their office or house. Competitive quote, timely service & friendly movers. Did exactly what they said they would do and were flexible in the process. Very satisfied with the service. Excellent service by Syed and his crew. Send an enquiry for a quotation, got a reply instantly even though they said they will reply within a working day. On that day, Syed was not only punctual, but early to my suprise! His crew are very experienced and did the wrapping in such a coordinated and fast manner, was truly impressed. There are very few movers that are willing to quote by per piece of furniture. Syed is one of the very few and a true professional one! Thank you so much Syed, it was definitely a pleasure moving with you! Highly satisfied with their service. I sent an enquiry through the website and received a quotation. Though I only replied a day before I needed to move my furniture, there was a slot available. Syed and his team arrived on time as agreed. All the furniture were well taken care of, i.e. wrapped with cardboard and plastic, and they were careful when carrying it all. The job was also done fast and efficiently. Highly recommended for their great service and affordable price. Fast packing and delivery, no frills no problem!! Will definitely use their service again and introduce to friends. Syed response was extremely fast as it was a last minute arrangement. The furniture was properly packed and protected. You deserved a thumbs up for good service. Found this place via fb. Reliable and good service. Delivered on time, and in great condition and packaging. Excellent service by Rentalorry. Items were all wrapped up professionally. Movers were 30 mins early and very efficient. Syed was very helpful. I just had to whatsapp him the photos of the items and a quote was provided the next day. Reasonable price and excellent service. Very professional from point of contact over email to the actual wrapping and delivering of my double decker bed. Will definitely use you again! Excellent services from Syed and team. Fast and efficient. Same amount of furniture, yet this team is way more better than the one we had engaged before. Keep up the good work Rentalorry! I found it very comfortable in getting the contact. Service was provide v quick and the delivery was very smooth. just needed to move one mattress and other companies charge alot due to the minimum amount. found rentalorry and the movers were professional and fast. very efficient and good service, will get them again when i move next time. Fast and efficient, helped me alot for my event at f1 pit building! Awesome service. I really like the fast replies and fast packing and delivery service. A service i can depend on if a mover is required. Will definitely recommend this to my friends and family! Great service. Quick response to my late request, even though I was only moving a table set to my mum's. Most importantly, the moving went smoothly and nothing was damaged. Syed and his team helped us moving our three bedroom unit within approx 5 hours. Very efficient and professional! They took good care of our furnitures. We are happy with the service and will use them again next time! I had called Rentalorry just to move one sofa. Their service was excellent! Prompt response and delivery service. When they had to change the timing of the delivery, they gave ample notice. I strongly recommend Rentalorry! This team of worker is great and special mentioned to Syed who is the main contact person. He responded timely, his team arrived timely and produced speed, neatness and careful in packing and unpacking.Will definitely recommend them to who ever need his services.Well done, keep up men! Rentalorry is a fuss free, no frills moving service. My wife and I used them to move a few essential items that were too bulky to do on our own. When we contacted Rentalorry, we were connected to Syed, who, was very responsive and quick to give us a quote after we had taken pictures of the items to be moved. On the day itself, Syed and his workers came quickly, and efficiently, moved our things. We requested for them to move 4 heavy boxes and there was no charge. Payment was quick and easy as well. Will recommend using them for a fuss free service. My daughter found good review on Rentalorry through google and we decided to engage their service. Through email and what's app, we managed to communicate with Syed, who is a very nice person. He provided us with boxes and on the moving day, the movers came and carry out their task very efficiently and items that needed to be wrapped up, they did it carefully. Very happy with their services and will definitely recommend them to anyone that is planning to move house. Excellent service! But no bill! Syed and his team were very fast and responsive.The price given was very reasonable and I have engaged them three times at different occasion.His team were careful with stuffs and make sure that the items were properly wrapped.What more can ask from them.Thumbs up for them.Highly recommend. Syed and his helpers are very fast in transporting the items in good condition, will recommend this transportation service to my friends! I was googling and found this page that was highly recommended for sofa moving. Syed was very responsive and he came to move my sofa within 4 hours! Fastest mover I have ever seen. He and his colleague wrapped the sofa professionally and knew how to dismantle the 3 seater too to ensure everything is well taken of. Highly recommend his service. And I will be likely to engage his service again for moving of my new house at the end of the year! Highly recommended by my colleague! Syed was responsive and gave me a quote very fast! He came with his team and they were very efficient and fast in moving my stuff. Not only that, they protected my items very well with the wrap and cardboard!Thumbs up for their services! Syed and charlotte were very responsive and made arrangement for me by the next day. The movers arrived punctually and were professional in the wrapping and handling of the furnitures. One of the sofa had slight difficulty fitting through the door and the movers actually lifted it over shoulders to fit. Thanks so much for the hard work and making my move smooth. I’ve hired Syed to deliver one furniture and he responded swiftly. Communication was great as he’s very responsive and patience. They came wrapped up the furniture in less than 10 minutes and left, delivering the item in great condition. Extremely impressed with rentalorry service. Enquired a few moving company by none of them were able to do it. However Charlotte from rentalorry replied promptly and was able to confirm the delivery within an hour!The movers were on time and were very careful with my stuff. Highly recommend and will definitely use them again. Syed was very responsive over email and whatsapp. On the moving day, he arrived slightly late (30 min) but was super fast and efficient and our boxes and mattress are stacked neatly in his lorry. His team unloaded our stuff in very efficiently as well. Started at 10 am and ended around noon with an additional stop in between to pick up an arm chair. He's also not calculating. We had some additional stuff along the way and he is ok with that. He also delivered boxes for our packing really quickly too, one day after I said I needed some. Very good company, will strongly recommend! On time and fast with good, clean truck. Responsive and good rate too, considering I didn't have that much to move. Special thanks to Syed and his men. Thank you for assisting our group, the drivers are friendly and helpful, able to deal with our constant change in schedules. Thank you also for your quick replies via email. looking forward to avail of your services once again soon. Had a very smooth moving under the help of Syed team. Professional, attentive and responsive at a reasonable price. Highly recommended! Mine was for a moving of a bed plus bed divan and headboard. Service was excellent. They were on time and efficient with the move. I could see that they made an effort to be extra careful with the dismantle /assembly and moving of the bed without me having to remind them. Would definitely hire again if i ever need to move anything else. Recently engage rentalorry to move my items to my new house. Friendly service, on time and efficient in their work. Excellent service. Fast and prompt. I enquired on wed and confirmed on fri for sat delivery. On time and highly efficient. Will definitely engage their services again in future. Rental lorry provided really great service right from the start with quick and timely replies to all my queries on the cost and moving procedure, down to providing the movers details. Syed also provided really good service and advice during the move. We will be sure to find him again for our next move! Right from my first email (at 11.45pm; which Charlotte replied to immediately, btw!) it was a pleasure working with Rentalorry. They were attentive, polite, and extremely professional. I did get a lower quote from elsewhere, but eventually decided on Rentalorry because they were transparent, had no hidden costs, and were an absolute pleasure to deal with.At the end of the day, moving can be an emotional time. When you're dealing with anxiety, sadness, joy, anticipation and a whole lot more, the last thing you want to have to worry about is the state of your cupboard or baby cot. With Charlotte, Syed and the rest of the team, you're in safe, dependable hands and that feeling is something that money can't buy.10/10 would recommend to friends, family or whoever is looking to move. I recently engaged Rentalorry for shifting my home. Rates are reasonable, online support was excellent with prompt reply to our queries. On the day of the move, helpers swiftly moved the items with no damage to the packed stuffs.I would recommend Rentalorry to other users. Movers were helpful and professional. When I requested for more boxes for packing, no questions asked and no additional costs. Replies were prompt as well. Pricing was very affordable too. Will definitely recommend anyone who requires moving services. Keep up The good job guys! Initially we were attracted by their reasonable price quoted for what looked to be a simple move. However, the move got complicated by adding multiple delivery addresses etc. The Rentalorry team was amazing. They were able to accommodate every request, provide smart suggestions and get it all done in time and still at reasonable additional costs (given all the extra work done). A special word of thanks for the team that has to do the tough work: the movers. They handled our stuff like it was their own most precious treasures. We hope we don't move soon, but if we do we'll contact the Rentalorry Team for sure! Rented 4 vehicles from Rentalorry to help in a food collection campaign recently. All vehicles came on time and the drivers are very polite and professional. The coordinator was also very responsive and accommodative to our requests. Well done! Scouted singapore for a reasonably priced moving company and repntalorry was definitely one of the more competitively priced options. not only were they super patient with me changing moving dates and items repetitively (my bad!) but were super efficient in helping me pack! seriously never thought moving was going to be so quick. Syed (lead mover) was super quick, attention to detail was great and his team were very helpful with rearranging furniture. Thanks Rent A Lorry! Will defiantly recommend and re-use you in the future! I have just arrived in Singapore, found rentalorry online and received an excellent service today. Even it was late in the evening Charlotte solved my payment and scheduling problem and today their driver has arrived 10 minutes before schedule and safely moved my items. Their prices are good and added the service you receive, they will be my preferred mover in Singapore. Highly recommended. Recently we engaged Rentalorry to shift our belongings to our new place. We compared against many movers but found their quotation too expensive or many restriction imposed during moving. Rentalorry rates is clear and reasonable enough to give us the confidence to engage their service. Charlotte, Syed and the team are very polite, professional and efficient. They took great care in handling our items especially our piano. They even took the time to help fixed up the washing machine for us. Overall we highly recommend their service to others who are looking for movers. A great service from Rentalorry. Charlotte is very accommodating to my request and the movers were efficient in executing their tasks. The price for their service is also reasonable and competitive. I would definitely recommend them to my friends and families for their services. It's a great service! The staff is very helpful! I love their service so much and would like to recommend my friends who need the service! Engaged their service last minute, responded my request very fast.Would like to give positive feedback for Mr Syed and his team. They are very prompt, arriving 15 mins earlier. They were very helpful and polite. Would recommend them to friends and colleagues. Great service, it was last time request and unfortunately staff told me no more lorry, just while feeling hopeless, the lady proactively called me they got a van available. Although I only booked the transportation, the divers still gave me a hand to carry the heavy items.. much appreciated! Had a very positive experience with Rentalorry in moving a mattress. They responded relatively quickly and the process of how easily the downpayment could be made surprised me. The friendly movers were punctual, moved my mattress carefully and took a lot of care of the surroundings as well while at it. Great Job done! Pleasantly surprised by the surprisingly pleasant service and attitude.Moving my stuff was very smooth sailing at a good price. Manpower was more than sufficient for my needs.They arrive early and are accommodating plus friendly. I will definitely engage them when I need to move anything again! I got in touch with Rentalorry as I was moving condos and I must admit I had a very pleasant experience.One of the best things I have found is that the team is able to respond to queries in a very timely manner. Communication has been very clear and concise. They knew exactly what I wanted and provided a superb service. I would definitely recommend Rentalorry to anyone looking to move. You will not be disappointed. A big thank you to Charlotte and her men! We were very happy with the team who handled our move last week to Sentosa. Nothing was too much trouble and they all worked very hard to make our move as smooth as possible. All items were transferred without a single scratch or breakage. I would recommend! I would like to recommend Charlotte service and their team. She answered politely all my messages with out pushing to rush. Never meet my seller but I asked her and she also told me that the move went smoothly. We received our item with chairs very well wrapped and the guys installed the table in my place. I will definitely could use their service again. Engaged their service last minute. Responded to my request fast and politely.Their ops leader is very quiet and softspoken, but knows his job really well. With one look, he could tell how to get bulky furniture through a small door, or if it cannot fit in the lift, immediately.Their guys had to climb 11floors to bring my shop signboard up to my place, without damage at all. Also helped me shift my own house furniture around so everything fits well. Would just like to give positive feedback for both Mr. Syed and Mr. Yuslan. Both of your drivers were prompt, arriving within 5 minutes of the designated time. Mr. Yuslan even came in an extra 10 minutes early.I am also very pleased that both of them were very helpful with arranging the props so that they could be transported safely without damage. They were also very polite, respectful and gentle, a good role model for my students to emulate. Please send them my compliments!Am also grateful to Charlotte for being able to accede to my requests to have the same driver for my two-way trip as well as to answer my queries sincerely and calmly. Would recommend them again without hesitation to friends and colleagues. Rentalorry had never failed to impress me with their prompt response and swift moving of my things from 1 location to another location. They handled with such care. They are accommodating and helpful too. Needed a van for a last minute one way trip and Charlotte was really prompt in her replies and efficient in providing me with a driver. The driver was really helpful in loading and unloading of the goods and the overall trip was smooth sailing and very good. I would definitely come back to Rentalorry for future trips. Arrival of the transport was punctual and items were moved expeditiously. We engaged Rentalorry for our 5km Halloween Run recently. I must say, they have provided excellent pre-sales service, enquiry and follow-up (from Charlotte) as well as excellent service during our event from the 3 drivers. Their drivers were friendly, helpful, punctual and extremely responsible, and were always willing to accommodate any of our journeys during the duration of the event. Definitely will be back to engage their services for future events! Hi Charlotte, thanks so much for your great service in a last minute! My group of friends and I were planing for a trip to Malacca over one of the public holiday weekend. We wanted a two-way transport service and were choosing between the coach and private car. We went for Charlotte private car service in the end as the price is affordable and competitive. The journey was smooth and driver was exceptionally friendly and helpful. We faced a minor hiccup but Charlotte managed to follow up quickly and resolve it. I would definitely recommend her service to my friends. Rented Rentallorry for a shoot around Singapore. They provided excellent service with a very knowledgeable driver and the staff, no fuss transaction! I would rent them again! I was satisfied with Rentalorry for my one way moving service. They are very fast in reply my enquiry and the driver & assistant was very punctual in time and professional in wrapping up the sofa set to be transferred from Sentosa Cove to Bukit Purmei. I definately will recommend to my friends and to use them again. Thank you for your great help! I was a lost soul searching and praying to the spirits to send me help in order to move my Earth-bound body and the physical possessions attached to it to a higher place of existence (Bukit Panjang). Then, as if by a unknown force of nature, Rentalorry appeared before me as the saviour of my restless soul. Perfectly on-time, I received a call, and a voice that lit-up my life, spoke to me and said that they had arrived to help me with my existential crisis. I travelled downstairs and met the team. From that moment, I was no longer a human; but a mere mortal gazing upon two logistical god-like beings: The goddess, with eyes that looked into my very heart and a smile that warmed me from within. The god, a being of silent strength and kindness that matched his moving knowledge. With speed and expertise, these magical beings took all my belongings and placed them with care into their mystery moving machine. We departed and with great speed, these heavenly beings had arrived at the new location, before I as a mere mortal was able to. With care, the goddess informed me where they were waiting and sure enough, there they were. However, there was a problem; my mortal foolishness had given them the wrong part of the condo be in! So I apologised to these heavenly bodies of knowledge, but had no idea where to go. With amazement, despite never being to this condo, it was THEY who knew where they needed to be, and sure enough, there they were before I had even got there! Surely they possess a knowledge and skill that I could only dream of! Finally when it came to unloading, I steeled myself for hours of heavy lifting and shifting my possessions; but again, I was foolishly wrong, for the Rentalorry god and goddess had planned ahead and allowed me to use their own trollies! What should have been an hour, took only minutes! Then, with a kind smile and reassuring words, these amazing celestial beings disappeared into the sunset, knowing that they had left another mere mortal aghast in their logistical skills. I have now denounced all religion and I worship a small altar that contains candles, incense and at the centre, the Rentalorry logo. This is the most righteous of paths to follow. Professional service from liaison to actual delivery. Great experience. Friendly, Reliable, Fast, Efficient, Helpful, Trustworthy. This company has a hack care "bo chap" attitude. When i leave my number to them for the enquries on their rental details, nobody bothers to get back to me. When i call them, they gave me a blur tone asking me to call again. Very bad service that all i can say. very helpful and fast. well done guys. good update on status as the day was delay by rain but better late then never. Great service, hassle-free experience! I used to have to call up a bunch of lorry companies until I found Rentalorry. Super convenient. Highly recommended. ordered a one way delivery of a queen sized mattress from woodlands to pasir ris the guy and lady pare are really good in their job. polite and willing to give a hand, smiling, and on time. will use their service next time, too. Rented a lorry this morning. Driver was punctual & patient. Items transported smoothly to location & will recommend them for future assignments. Rented a van at 14.00. It arrived at 15.45. The service was great, no hassle, quick and effective. The driver was very nice as well and could tag along for ride together with my girlfriend. All in all an effective service for a good price! I had a great experience with the 10ft lorry I rented. Reasonable price, trolley provided, and timely service. I would definitely use Rentalorry service again when I need. I was arranging for a major event in airport. Rentalorry was very responsive and helpful despite last min change of delivery time. Thank you. I booked a van from Rentalorry on 11/08/15. It was a very satisfying experience.I was moving to a new home and had to move some household stuff. I browsed internet and found their website with better user-experience than the others. I contacted them on Whatsapp and got a prompt response. I was initially looking for a 10ft lorry because I had 10 extra large size cartons and I didn't know if they could fit in any smaller vehicle. Upon giving them the list of items, I was suggested to rent a van instead of lorry. Now, I don't know if these folks know about upselling, but I always like people who put customer interest over downselling their service. I ended up renting a van and saving 20 bucks. That's the first tick on customer delight. I would also like to mention that online payment on the website is a breeze, especially if you have paypal account. Later, a night before moving, I realized that I had more boxes than I initially thought (10 extra large cargo boxes to be precise) . I had asked for the Van dimension during the booking from their representative, but I started having doubt. So at around midnight I sent whatsapp message asking my doubts and I was promptly replied by Charlotte (A thumbs up to you dear madam) . That was the second tick on customer delight.The next morning the van came on time and the driver helped us with loading and unloading (Not sure if it's a company thing or we got a real nice driver). In the end things wrapped up nicely with sweaty forehead and smiley face. After the events of the past few days, I write to thank RentALorry for your outstanding services in providing delivery and moving solutions.I am very appreciative of the professionalism and extra mile that your company has gone to allow my requests to be fulfilled. This is especially true when the request was made at the very last minute and you guys have still managed to coordinate a response to it. I would have understood perfectly if the request could not be fulfilled, and yet I chose to request for your assistance because I had the conviction and the track record to prove that you would be able to deliver once again, and you did.Truly, it has been an extremely smooth and pleasant experience engaging your help and I would definitely recommend your company and its services to friends and family members. Excellent service from rentalorry. Was able to get a van even though I booked only the night before. Very efficient and fast. Driver was very friendly too! Highly recommended. Will definitely rent a lorry from them again! Rent a lorry end my worries! I had an excellent experience with Rentalorry! Customer service responded to all my emails right away. The driver was prompt and very helpful. Would definitely recommend them to anyone!